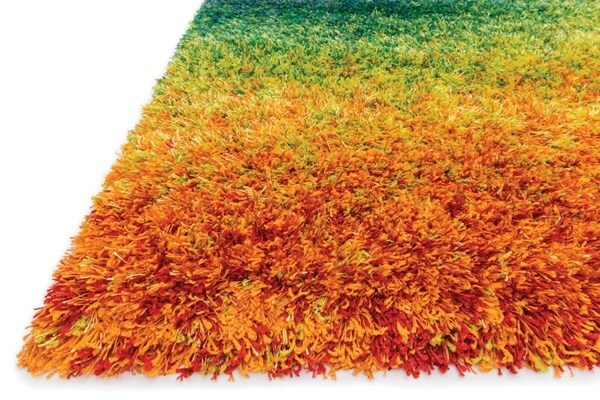 The Barcelona Shag collection offers a machine-made version of the hot category. The contemporary line is made in Egypt of polypropylene and viscose for just a touch of shimmer. 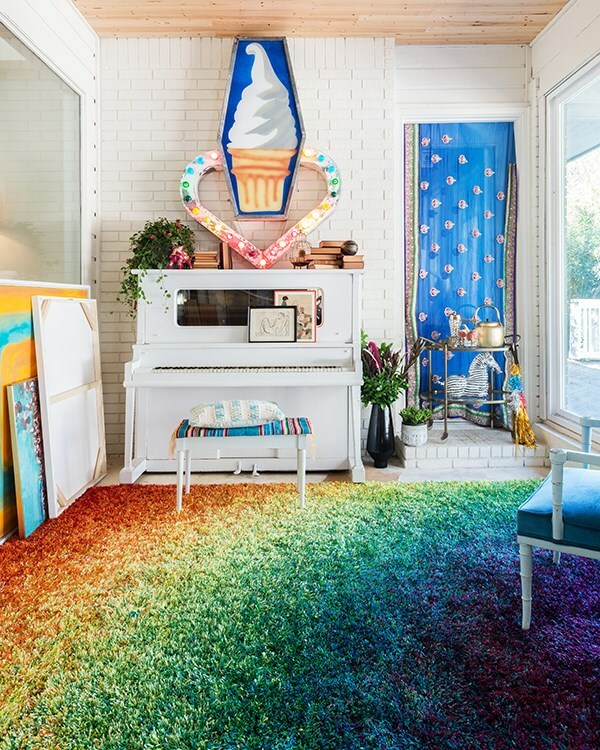 Four designs in all include two solid styles, a playful Rainbow design and dramatic Fire pattern. Delivery was excellent. Packaging was excellent. Color is excellent. Yarn quality looks iffy. Survey again in 6 months after some wear. 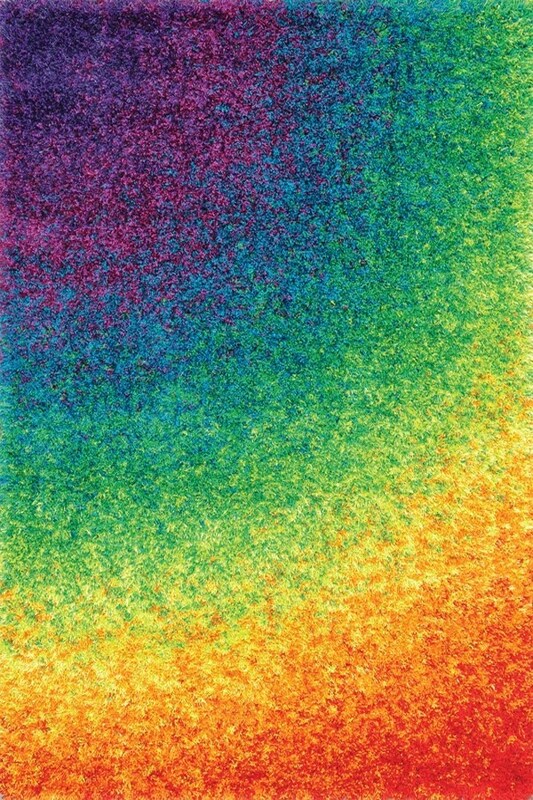 The rug does not have the definitive look of a rainbow as it shows in the photo online, which was the primary reason I ordered it. The colors are the same, but the pattern is not. Overall, it brightens the room and looks nice. Shipping, however, was a killer. 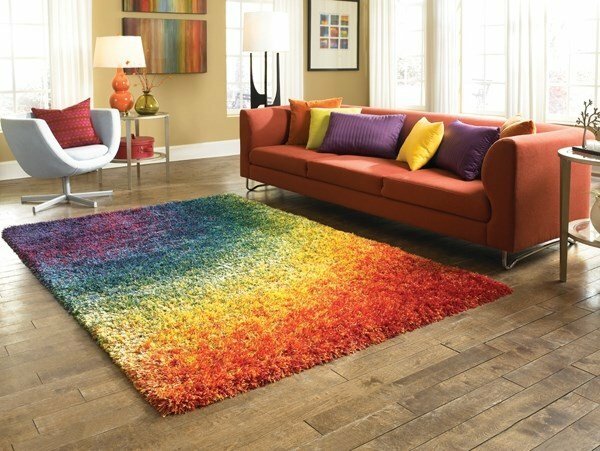 Quick, easy delivery and I LOVE this rug!